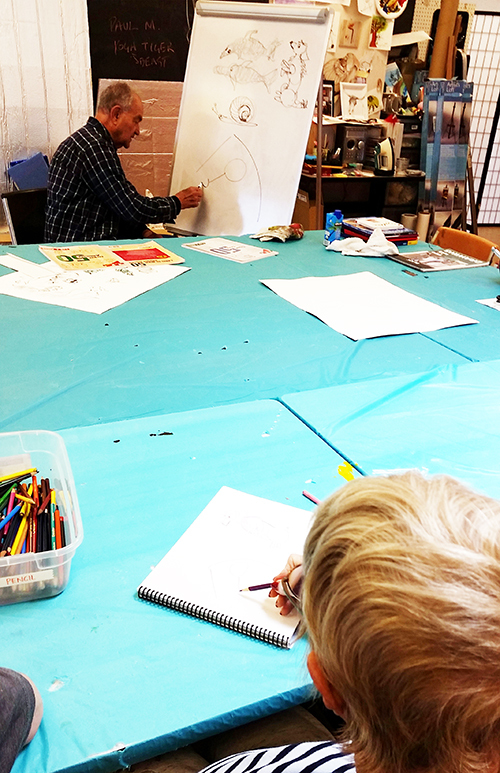 Paul leading an animal drawing class at Schurig Center’s Art Studio. 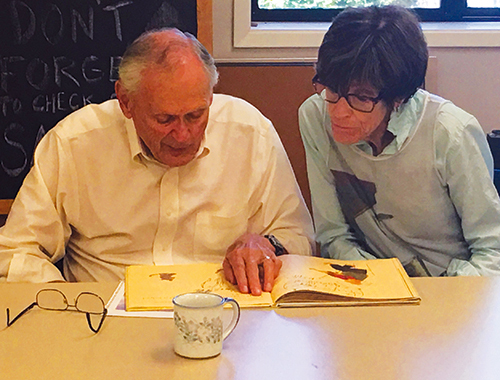 Schurig Center for Brain Injury Recovery has been fortunate to have Paul Miller share his talent and enthusiasm for art as a weekly volunteer in our Art Studio for many years. Paul was the Marin Independent Journal’s editorial cartoonist in the late 1960’s, later was the editorial and sports cartoonist for the Novato Advance for most of the 1970’s, has done cover cartoons for the Pacific Sun, and worked as a cartoonist illustrator for the Tiburon Ark. 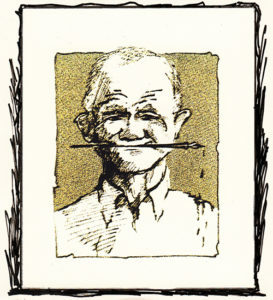 He has also had cartoons published in the San Francisco Chronicle as an “Image to the Editor” contributor. A former Marine and a UCLA graduate, Paul taught a cartooning course in the College of Marin’s Art Department, where he was a full time faculty member in the English and Communications Departments for four decades. Paul’s paintings and drawings can be found in private collections throughout the United States and abroad in France, London, and India. The community at Schurig Center is deeply grateful for Paul’s dedication and contribution made over many years. He is a Marin Country treasure who has truly enriched the lives of many. Thank you, Paul! During August 2017 at Marin Humane, animal drawings by Paul Miller will be on display for viewing along with original animal drawings and mixed media artwork created by artists in Schurig Center’s Art Studio under Paul’s instruction.